When the Four of Pentacles appears in a reading concerning finances you can relax. Money has always been a big issue with you and no one can accuse you of being wasteful but the pressure is off. Where money is concerned you are secure and not just for today or for tomorrow but the long-term financial situation looks stable too. You have plenty to go around so stop worrying and enjoy yourself a bit more. They say that money is no good unless you can spend it and a certain amount of this is true. Having money does not mean that you must spend it all but certainly it should be giving you some comfort in life and not kept under tight guard all the time. 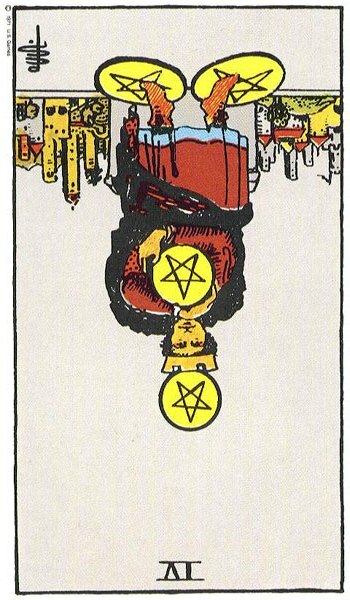 Fear of scarcity is often related to The Four of Pentacles so you may worry unnecessarily about money if you have come from a background of poverty. This leads you to hoard or penny pinch even when you have enough money. Your fridge may be overly stocked on the basis that you will never go hungry again or empty because you fear wasting money on items you may not get to eat. Financial security should bring relieve but deep down the old hunger and want knows away at you. Nothing is thrown out that can be mended and your house may be full of broken down and worn out items, decor and furniture unchanged for years because they are still functional. You get no joy out of money and find both having or not having it embarrassing or shameful. The Four of Pentacles is a positive and welcome card for savings, investments or retirement plans. It indicates that you are accumulating goods, wealth and possibly even power. Your financial situation has been steadfastly growing over a period of time but this is not by chance or even pure luck. On the contrary, you have been working extremely hard and have several long-term ambitious goals that you are determined to reach. What is it that you have been saving hard for? 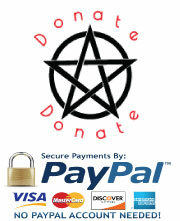 Where the Four of Pentacles is concerned it more than likely is a large purchase. You could be saving for College, to buy a house, a car, a business or even a horse. You have the money for it and a little more besides. This is a card for having enough belief in yourself to go it alone. You now wish to be your own boss and very importantly set your own boundaries. Setting boundaries is very strongly linked to The Four of Pentacles. You may be building walls around your self to control who has access to you or not in an attempt to safeguard your privacy or assets. You know exactly what you are doing and how to go about it. When this card appears, it very definitely acknowledges that you are in power and nothing gives power more than strong financial stability. You must be careful not to let this sense of power go to your head and become full of your own importance. You may cut yourself off from those who have helped you along the way. You may need to call on their help some day. You are now in a position to accumulate assets or possessions. You may be setting up a business or even several businesses. Judging by the capabilities of the Apprentice in the Three, you may be buying up property left, right and centre with a view to developing them and then selling on for a profit. Whatever it is you are doing, your reputation is steadily building and you are in high demand. You don’t come cheap though but you have excellent standards and the quality of your work is highly valued by those who seek you out. The Four of Pentacles suggests you have the Midas Touch at the moment. This is a card for success and success building upon success. 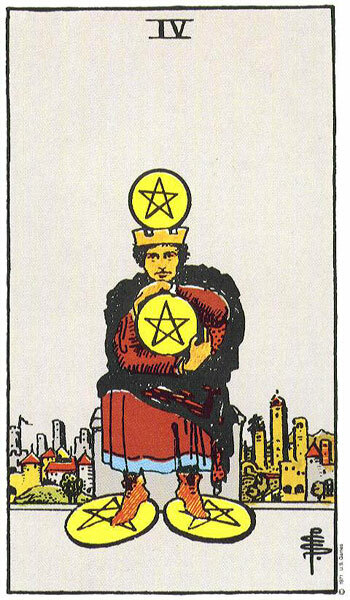 Along with Financial security, the Four of Pentacles is linked to rigidity and control. The Emperor of the Major Arcana (another (IV) card has taken over. You may have a habit of keeping everything and everyone in order around you. You or someone you know may be setting boundaries and restrictions or demanding obedience and compliance from all. You may have become out-dated in your ideas and behaviour but dig your heels in regardless, becoming very obstinate and opposed to change. On the other hand you may feel terribly blocked from making progress in life. Do you feel that someone is standing in your way or that they won’t back down on an issue and refuse to compromise? You may be stubbornly holding onto a situation or position that no longer serves your best interests. Maybe it is time to let go. It may all come down to just being a habit but fear of change keeps you clinging on relentlessly. Another strong feature of this card is obsessiveness and meanness. It can be a sign that you have been neglecting friends or family by being mean with your time, resources or money. Your busy life might be getting in the way rather than any nasty intentions so no need to feel guilty if that is the case. However, you may have a need to have and get all the time and the need to claim ownership. You may look upon your friends or family as possessions also and expect them to be at your beck and call. It can be a sign of being self-centred when all you can think about is yourself and your needs. You could have vast wardrobes of clothes, with many still unworn yet you still crave more. You may find it hard to share with others or to give without expecting to receive. You think you need all that you have but you don’t. You have more than you can cope with but you are afraid to let go or refuse to. Such meanness of spirit will block your heart and turn you cold. You can also have a habit of keeping yourself to yourself. Privacy maybe extremely important to you or it could be that you feel people will be looking for something from you if you let them get too friendly. You may be trying to protect yourself from the demands of family and friends. You fear being under obligation to anyone or anything. There could be someone you know who could do with some financial help yet you fail to make even a token gesture. You would never ask anyone for help and especially money so don’t see why they should come bothering you. 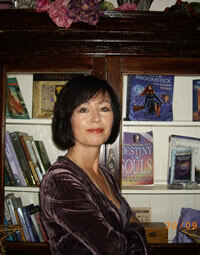 The Four of Pentacles can also suggest loneliness in a relationship. You may appear to have everything but inside feel empty and alone in the relationship. You may be trying to keep up with wealthy friends and neighbours especially if one partner is financially and career ambitious. This may not be your background or the people you would choose to live next to. You could feel out of your depth or have nothing in common with them. On the other hand, the Four of Pentacles can represent a couple who are saving hard for their future. Everything they have is going into their savings account leaving little for anything else. They may be saving to get to get married, buy a house or even set up a business. This is a successful ambitious couple who will have no problem putting the time in saving hard and making all the sacrifices that go with it. They will certainly reach their goal as planned and on time. As a couple you may be very self-sufficient and do not need to rely on others around you to make you happy. You may keep to yourselves and closely guard your privacy. This may be the way you naturally live your life as a couple, but on the other hand you may have good cause to. If you have been offered a job by a particular company and this card appears it highlights a financially sound establishment with great employee saving and insurance schemes. It can suggest a job offering excellent salary but it can also suggest holding back on a pay rise depending on surrounding cards. This will be a very work oriented company with little time for sitting around and chatting so you will find that everyone keeps their head down and gets on with their job. It will be a great place to work and you will get well paid but don’t expect to be cut any slack or get to casual with your colleagues. The people who own this business live and breathe it and will expect their staff to do to. Everything will be about the ‘brand’. On the other hand, you may find you are working for a sound company but that it is terribly outdated. You may be fresh and driven with lots of wonderful ideas but you have a boss or board of directors who block any attempts you make to update and modernise. You could very well end up well-paid but terribly frustrated and bored. You could be working in a family business and feel that it is time for your parent or parents to hand over the reins of power to you but they stubbornly hold on regardless. They refuse to retire or take a less active role in the business. It is they who established it and consider it their baby and no one else’s. They will hold on until the bitter end. You may be saving to establish your own business. There is a great sense of ambition here and strong determination. Take care not to get too rigid with your business plans. Be open to outside ideas. You have to move with the times in business, therefore new approaches may be necessary. You may be attempting to secure loans for your business venture and the upright Four of Pentacles would suggest that you are likely to be successful once you have done your homework and have a well put together Business Plan with realistic cash flow projections. All in all, The Emperor is content and is happy that everything is as it should be and under control.